In today’s class, I talked about using yoga to help release ourselves from the emotional cords that exist in family karmas. Since it was Father’s Day I was prompted by the words I wrote shortly after my dad passed away. What many didn’t know is that until about two weeks before he died, it had been nearly two years since my dad last spoke to me or my sisters. He was holding a grudge that none of us understood. He did that throughout our lives. He’d play the loving father for a short time and then disappear for long stretches. It was easy to welcome him back and pretend like nothing had happened. But his repeated rejections left a deep impression in different ways on my siblings and me. I’ve long understood how deeply impacted Dad had been by the loss of his own father who died when he was just two years old and also by the later temporary absence of his mother who was quarantined with tuberculosis. But I hadn’t understood how those feelings of abandonment my father felt, the demons that haunted him, had a huge impact on how he parented and his relationship with his children. It was during the two-year absence before he died that I grieved my father and the kind of father-daughter relationship that eluded me. I dove through anger, disillusionment, and did a lot of soul searching to gain acceptance for who he was and what we shared. I credit yoga and its ability to help us see things as they truly are with giving me the perspective I needed to understand and appreciate how his actions ultimately shaped the person who I am. I felt at peace when I wrote the tribute below because it helped me realize that I had found the maturity to honor my dad in a way that was true and without pain. And while I certainly spent countless years wanting more from him, I realize now that what I had was enough. And I am grateful. Happy Father’s Day, Dad! The new year is brimming with new beginnings, new commitments, and new resolve. An estimated 45% of Americans make resolutions at the start of the year. According to one study by the University of Scranton, those who make a resolve are 10 times more likely to meet their goal than someone who does not. However that same study also shows that only 8% of those who set their resolve actually succeed. If stating a commitment increases the likelihood of following through, what is that keeps 92% of those who do from achieving the goal? The problem is likely the resolution itself. Typical resolutions stem from a place of negativity, rooted in the belief that the person making it is not good enough and needs to change and improve. And may all beings everywhere find peace. Meditating on loving kindness (also known as mettā meditation) is a practice intended to develop benevolence. Through this process, the practitioner can experience joy in celebrating the happiness of others. It’s a somewhat simple, yet potent practice. I find reciting just the four lines above – a mere portion of a complete mettā practice – is a powerful reinforcement of my intentions and aspirations for compassionate living. A traditional mettā practice begins with an offering of loving kindness directed toward oneself. The offering is then repeated several times, each time directing the energy to a specific person or group such as a ‘neutral’ individual, a loved one, an enemy, and then to all beings throughout the universe. In the meditation, the practitioner breathes in suffering and exhales happiness. Mettā meditation is a highly accessible practice. I’ve even used this with my kids as a bedtime ritual to close out the day. As with any practice, the key is to – well – practice. This 30 minute guided meditation from Sharon Salzberg author of Loving Kindess: The Revolutionary Art of Happiness provides a lovely introduction. One of the greatest benefits of being a yoga teacher is that it makes me a diligent student. Each month I use the Focus of the Month set by the studio where I teach to explore different aspect of yoga’s philosophical and ethical offerings. I hunt down related lessons in classic yogic texts along with research studies in positive psychology to prepare for my classes. I seek out music, poems, quotes, and stories to help bring the focus area to life for my students. It’s a gift to have this structure not only for my teaching practice but also for the self-study part of my continuing education in yoga. I use a variety of resources for my studies including blogs, videos, workshops, and books. One recent addition to my library that I’m really enjoying is The Yamas & Niyamas: Exploring Yoga’s Ethical Practice by Deborah Adele. (The chapter on aparigraha, non-possessiveness, provided a great framework for the March focus “Let Go.”) Using everyday language and illustrations, Adele takes a deep dive into parts of the Yoga Sutras of Patanjali, specifically the five yamas (restraints) and five niyamas (observances) that make up the first two limbs of yoga. Focusing one chapter on each yama and niyama, Adele uses real-life stories to give a down to earth look at the teachings. Each chapter ends with suggested practices to further cultivate the lesson. Adele also offers a corresponding website with free videos and downloadable teaching content, providing a robust platform for exploring these important yoga concepts. The easily digestible content in the book combined with the digital material make learning the yamas and niyamas easily accessible. The Yamas & Niyamas: Exploring Yoga’s Ethical Practice is the perfect place to start for anyone who is ready to expand their knowledge of yoga beyond the asana practice. Need a dose of music? Check out these links to listen to some of my favorite songs from previous posts: “Let Go” Playlist, “That I Would Be Good”, and “Clouds“. Suggested playlists for yoga can be found here, here, and here. Like yoga, music rejuvenates and inspires me. As if by divine intervention, I was reintroduced to this Alanis Morissette song a couple of weeks ago. I’ve listened to it at least once a day ever since. I love it for its ability to ground and center me. The self-affirming lyrics also serve as a reminder that everyone is inherently good and deserving of unconditional love even when I find their behavior challenging. Its mantra is exactly what I need to hear now. 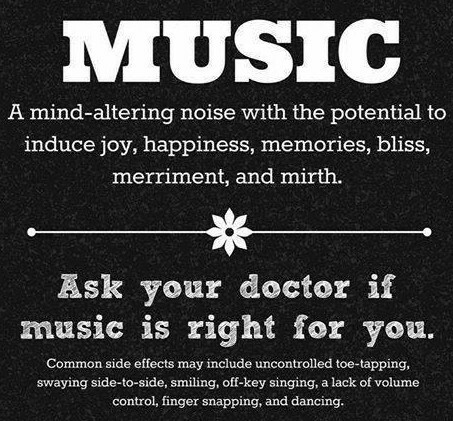 What role does music play in your life? Do you have any go-to songs that help transform your mood?